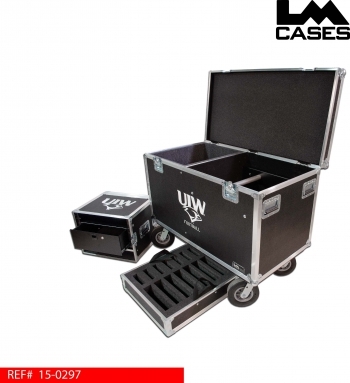 This trunk was built for the University Of The Incarnate Word to hold Telex sideline communication equipment. 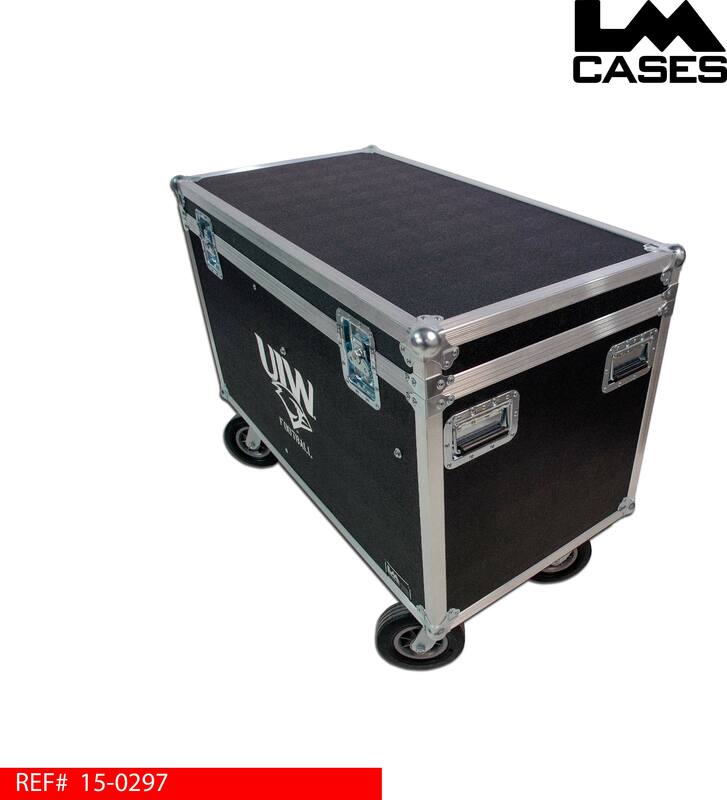 The trunk features a removable 6RU that can be carried up to the pressbox. The removable rack holds 2 BTR-80N base stations, and a 4RU drawer that contains 6 head sets and their receivers. 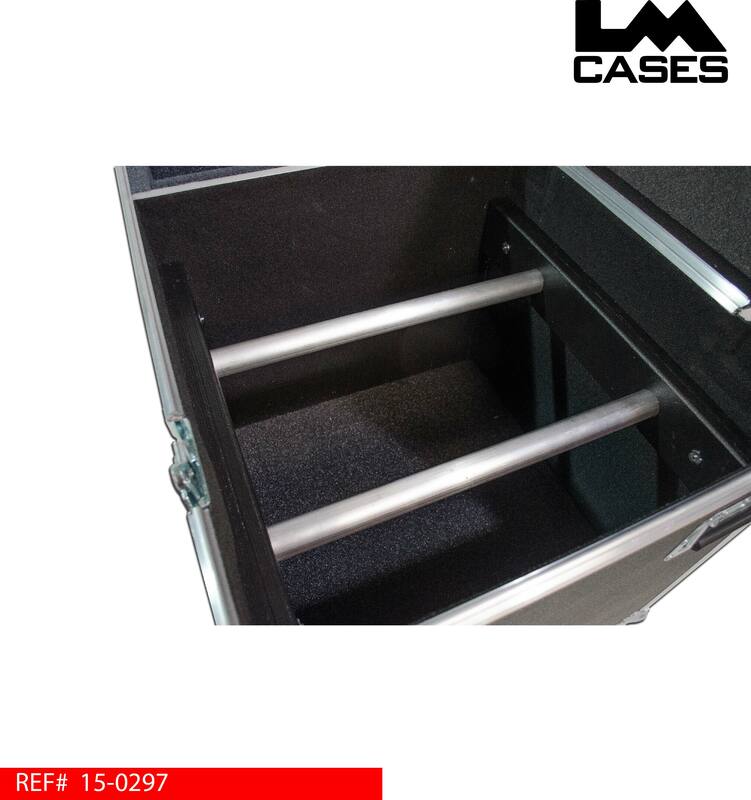 The rack also features a separate compartment to hold the antennas. The trunk features a removable tray to hold 14 belt pack receivers in a custom CNC cut foam insert. Below the removable tray are a set of bars designed to allows the headsets to hang for easy loading and unloading. The case is built out of 3/8" plywood laminated with black ABS plastic. 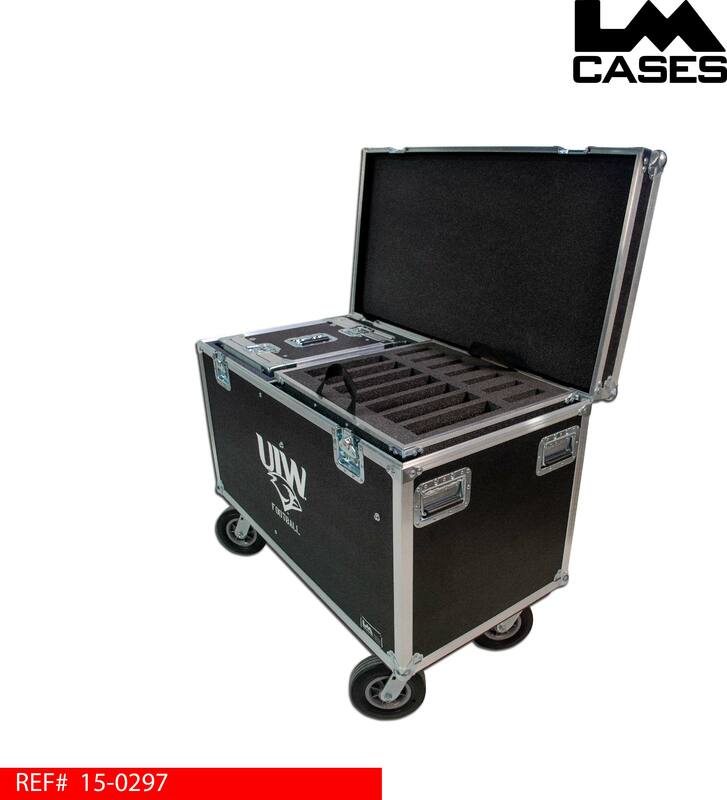 The case exterior features deep recessed hardware, 8" field casters and silkscreens of the UIW logo.